City of Minnetonka, Minnesota: Minnetonka is a western suburb of Minneapolis that surrounds much of Lake Minnetonka, a large irregular lake about twenty miles west of downtown. It is connected to the Mississippi River by Minnehaha Creek, which runs through South Minneapolis and drops in an impressive waterfall as it reaches the river valley. 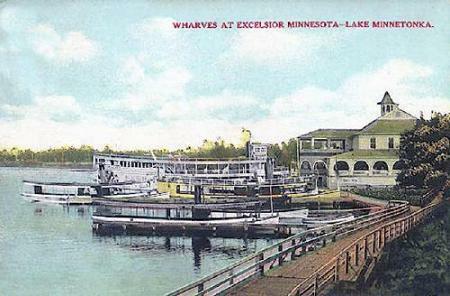 Lake Minnetonka was a popular tourist destination in the days of streetcars, and at one time one of its larger islands was home to an amusement park. Trolleys would bring people from Minneapolis to the eastern shore of the lake and ferry boats would then take them to various destinations further across the water. Lake Minnetonka is on average a wealthy suburb and many rich families now have homes there, especially along the lakeshore. 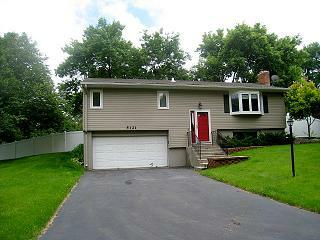 However, much of the area was developed during the 1970’s and smaller split-level homes are also fairly common. Daria’s house is described in this chapter as one of these. This ordinary home represents one of the fundamental differences in philosophy between the A.’.A.’. mages and the Guild. While the Guild has freely used practical magick to amass wealth among the Great Families for centuries, mages such as Daria prefer to live outwardly ordinary lives with regular jobs, homes, and so forth and avoid doing anything that might attract too much unwanted attention to themselves. In this chapter Michael and Samantha meet with Daria and the few other local A.’.A.’. magicians. Michael explains the nature of Balzador’s binding spell and ask that the A.’.A.’. mages use what still functioning magical devices they have to keep an eye on Samantha and the remaining Guild magicians.